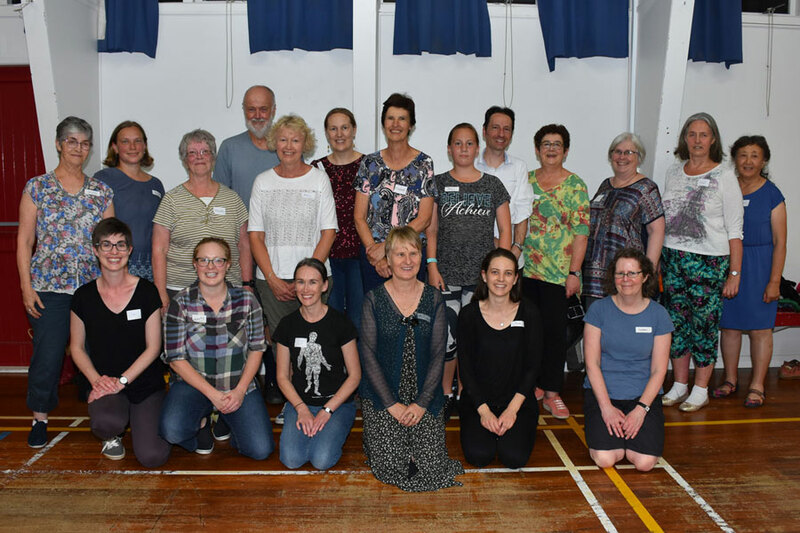 Thank you to our tutor Rod Downey for the work he put into the Beginners’ Classes and to club members who came along in support of a great group of more than 50 enthusiastic new dancers who joined us for some or all of the four classes. It was lovely to catch up with old friends at the start of our new season as we welcomed 2018 club members back to the dance floor for 2019. We had seven sets on the floor! The icing on the cake was seeing so many of our new dancers joining us at our first club night of the year. Once you’ve caught the Scottish Country Dancing bug, it’s hard to resist! At our second club night on 11 March, Rod complimented newer dancers on their excellent efforts on Pas de Basque (commonly called setting) for their first time. We even had a brief introduction to travelling Pas de Basque which is used in the Poussette formation. We were thrilled dancers then confidently tried out their newly learned skills by dancing The White Cockade. On 18 March we took the opportunity to have an Irish flavour to our evening by celebrating St Patrick’s Day. Rod chose dances that had a connection to Ireland along with music that included toe-tapping Irish tunes. Dancers responded to the call to let loose their inner Irish and the floor was a sea of green as we again practiced Pas de Basque as a forerunner to finding out more about the Pousette formation. Following some intensive instruction on how to use travelling Pas de Basque to dance the Pousette, dancers formed sets to try out this new formation by dancing Rory O’More from Book 1. The smiles, laughter and applause following Rory O’More were sure signs we had achieved our objective of dancing Pousettes! Rod explained there are few examples of easier dances that include the Pousette. So he had devised a dance including this formation and with an Irish theme to suit the occasion! Called The Coleraine Rant after one of New Zealand’s classic wines, Coleraine is also a town in Ireland. As well as the Pousette, The Coleraine Rant also includes a tricky movement of leading down the middle and crossing to own sides with Lady under Man’s arm. (See the image below). Our dancers met the challenges of these new formations and danced the World Premiere of The Coleraine Rant with ease! Having fun dancing the World Premiere of The Coleraine Rant! At the St Patrick’s Day celebration, President Kristin Downey announced the Club has had 67 dancers sign-up as members in just three weeks! What a wonderful response. 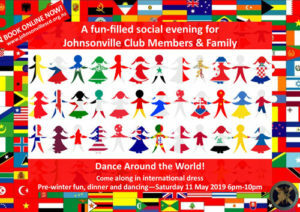 This entry was posted in Event Reviews 2019 on March 19, 2019 by admin.